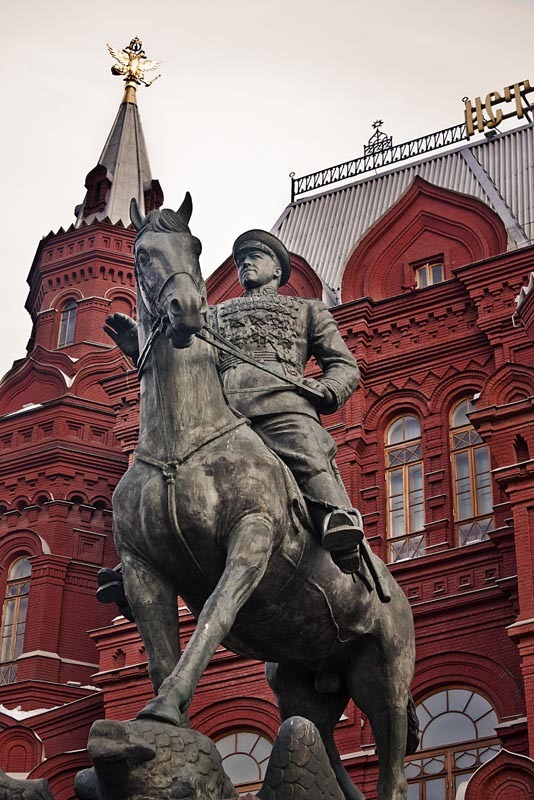 Statue of Marshall Zhukov near the Red Square in Moscow. Zhukov was a major general of the Red Army leading the final assault against Nazi Berlin. The huge bronze statue welcome visitors as they pass through the gate towards the Red Square.